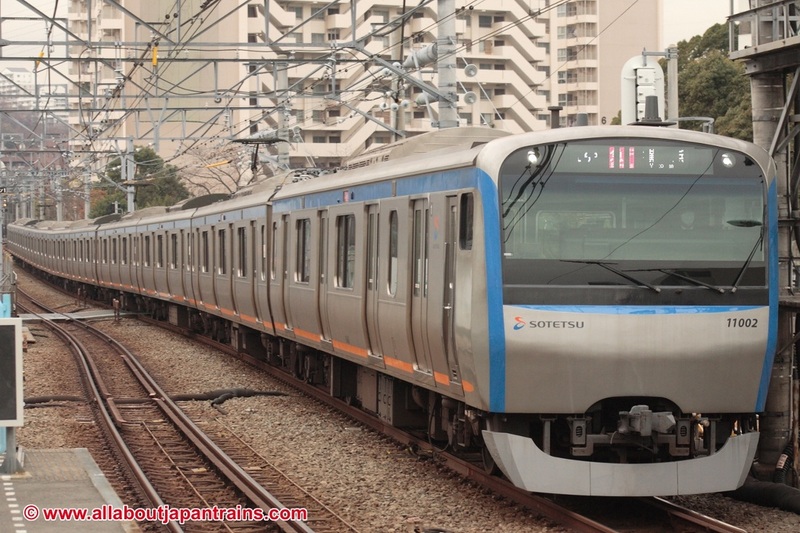 The 11000 Series is a four-door commuter-type electric multiple unit based on the JR East E233 Series and is operated by Sotetsu on both the Sotetsu Main Line and the Izumino Line. 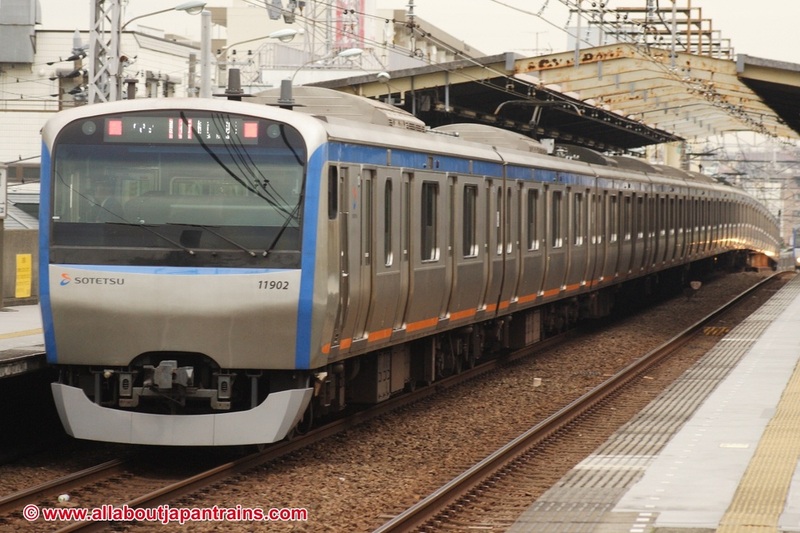 Sotetsu is currently planning on connecting the Main Line with the JR Yokosuka Line and the 11000 Series was designed to comply with JR's restrictions that will apply when these two lines are connected. 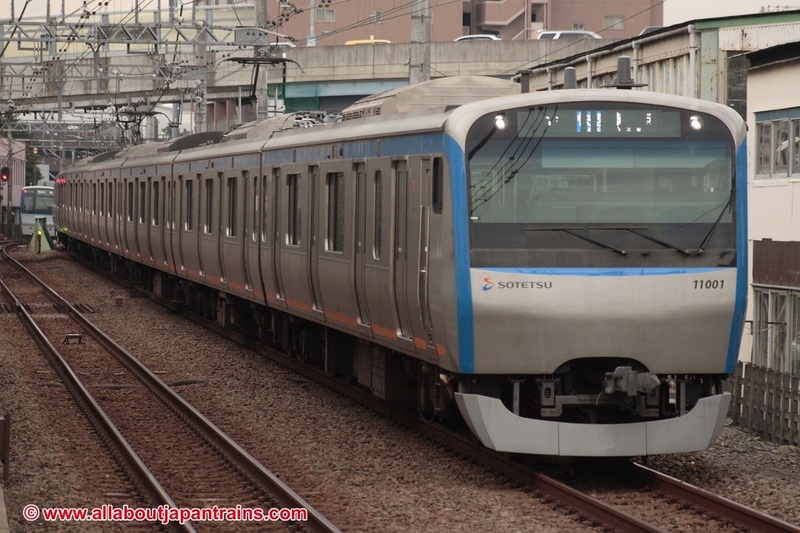 Sotetsu also built these trains to replace much of the remaining older rolling stock in their fleet. Other than a modified end car design, the 11000 Series is identical to the JR East E233 Series and shares compontents with it. It is constructed of light-weight stainless steel and is driven by AC motors coupled with an IGBT element variable frequency drive.